. 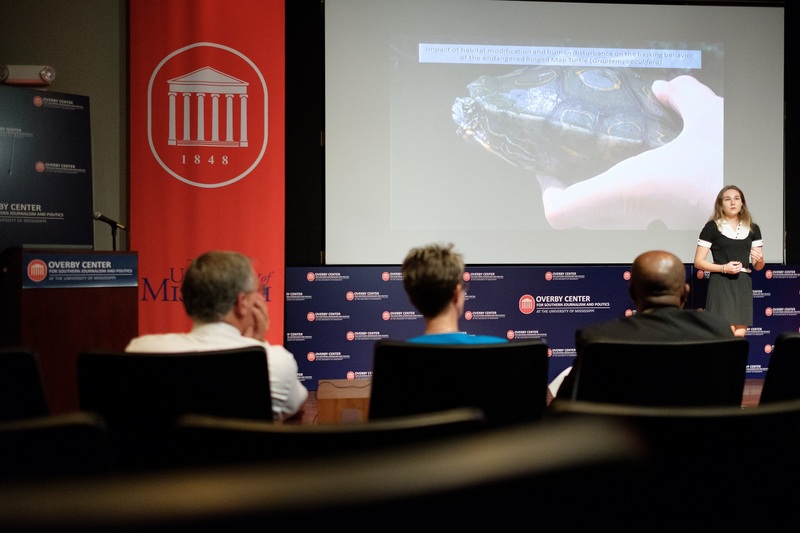 Her research examines how human activities affect the behavior of an endangered turtle, the Ringed Map Turtle, also known as the Ringed Sawback. Jessica hypothosizes that by impeding optimal basking behavior, humans are contributing to the endangerment of the species. By studying populations in the Pearl River outside Jackson, MS, she hopes to aid in the formation of management strategies for the conservation of the species. Jessica will be representing Ole Miss at the Conference for Southern Graduate Schools in Annapolis, MD in March.